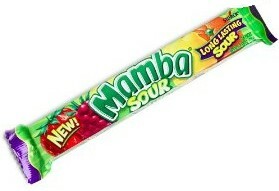 I first learned about Mamba in high school. A friend of mine, who happened to be a vegan, was making her way speedily through a package of candy during English class. I rarely saw her eat candy as few are designed for vegan consumption. My initial reaction was one of distrust. She had â€œsharedâ€ her vegan candy with me before, and aside from Jelly Bellys, I tended to dislike the products; however, the voracity with which she was consuming them made me think there might be something more to them than meets the eye. 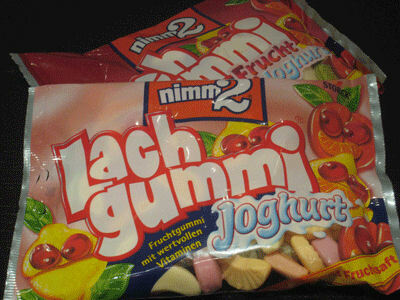 I asked for a piece and she reluctantly offered me a lemon fruit chew. From that day on, English class informally became “eat Mamba and try to learn Romantic poetry” class. Forrest Gump’s mother once told him that life was like a box of chocolates. That’s all well and good, unless that box of chocolates happens to be opened by someone else in your family who eats all of the caramels before you get a chance. 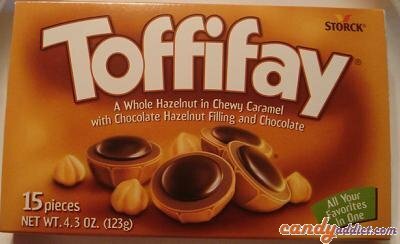 There is nothing better than a candy box piece of chocolate-covered caramel. Or at least I thought so, until I stumbled upon a magnificent candy known as Storck Chocolate Riesen. 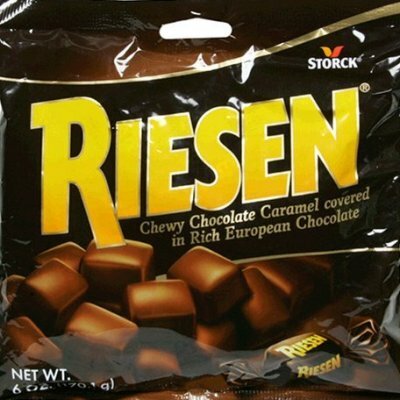 In essence, having a bag of Riesen (pronounced “reason”) is like having an endless supply of the best part of the candy box- the thick, chewy chocolate caramel squares covered in a thin layer of rich, creamy chocolate.